If you're a family visiting Caithness for the first time or are lucky enough to call this place home, more often than not, we tend to allow the weather to dictate how we spend our day. I love nothing more than being cosy indoors when its blowing a hoolie (very windy) outside. But once the kids have had too much screen time and cabin fever sets in, I've found that Caithness is jam packed with opportunities for outdoor adventure - whatever the weather. Here's a list of family friendly adventures merely scratching the surface of what Caithness has to offer. Most adventures listed require little or no money, some grit, imagination, and can be reached by car or public transport. Top Tip: My friends think I'm nuts but I can't recommend a flask of hot water enough! Adventures with little cherubs can be testing to say the least, but it's amazing what a hot drink can do for your own sanity and adding a dash to kids juice bottles is perfect for warming cold wee hands. But for goodness sake don't forget the waterproofs! Old St. Peter's Kirk in Thurso is considered to be one of the oldest remaining churches in the county. 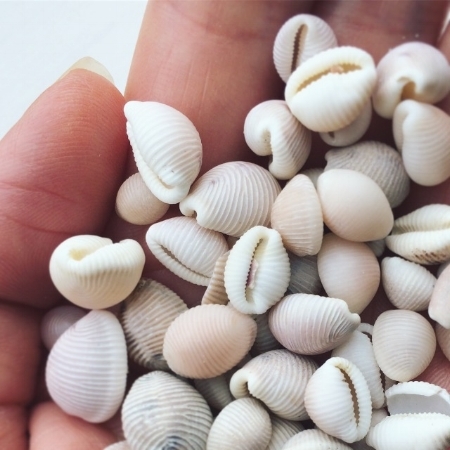 See it through new eyes by exploring the grounds on a scavenger hunt. Here's one I created for a fundraising event by Old St. Peter's Kirk Preservation Association. Feel free to download, print it out and bring stickers or a pencil to mark the items off as you go. The Kirk grounds are open all year round. Top Tip: A key to enter the Kirk itself can be borrowed from Caithness Horizons for an extra sense of adventure. Geise Farm Walk has a beautifully constructed path that winds its way past a big burn, waterfall, distillery ruin, wishing well, pond and railway bridge. Scottish National Heritage produced a nice leaflet detailing its whereabouts and more outdoor activities to be found in the area. We brought hotdogs in a flask, with buttered rolls and sauce to Geise Walk last year - a quick and easy picnic and a huge hit with the kids. Top Tip: Check Thurso's train arrival/departure times on Scotrail's website before going to Geise Walk for a chance to wave at the driver and passengers crossing the bridge overhead. Delicious raspberries grow here late summer/early autumn. Bring a baby carrier and leave the stroller at home, the paths can be narrow in places. Caithness is home to the ruins of over 180 stone towers built some 2,000 years ago. The remains of many brochs can still be seen today. Visiting a broch and admiring the same views as the Picts once did never fails to give goosebumps. Caithness Broch Project hope to build a full scale replica broch in the near future. 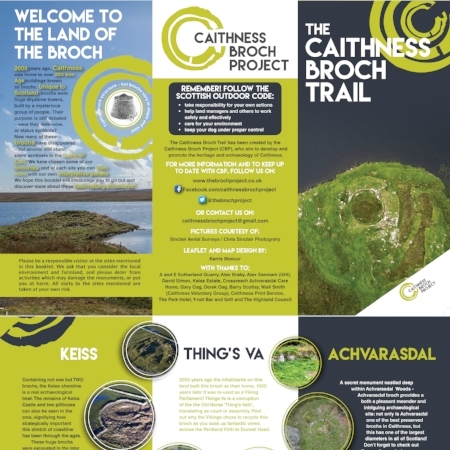 Alongside their many projects, events, and highly entertaining Facebook page, they've created a handy Broch Trail leaflet focussing on three cracking sites waiting to be discovered. We're going on a Broch Hunt... we're going to find a big one! Top Tip: Stretch your Broch Hunt over a weekend if wee legs are likely to tire quickly and bring a picnic to dine where the Pictish people once did. St John's Pool is a private bird reserve, mostly supported through private funding by Julian and Rosemary Smith. During peak season (Spring to Summer), the pool is brimming with nesting and migrating birds. St John's Pool has a large public bird hide from where you can watch the drama between birds unfold through a pair of binoculars and be protected from the elements. Public hides are open year-round with the exception of off-peak breeding season when they open from 10am - 6pm only. Top Tip: Bring paper and pencils to record who's who - I once heard Julian Smith explain that if you draw the different birds you see, then identify their name, it makes the different species much easier to remember than relying on memory alone. Despite a general lack of trees in Caithness (providing those panoramic views on a clear day) there's a number of forest walks waiting to be discovered. Dunnet forest is a community run forest by Dunnet Forestry Trust who's hard work has pushed it to the very top of our forest adventure list. 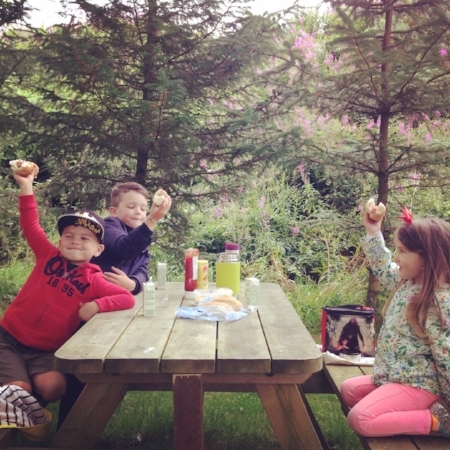 You'll find ponds, a log cabin, picnic tables, hidden playground, sculptures, dens and a wooden xylophone within Dunnet Forest... need I say more? Top Tip: There's a number of Geocaches to be found in Dunnet Forest, and all over Caithness for that matter! Download the Geocaching app and instantly up the adventure anti. We seem to visit this harbour a lot for two reasons: the resident seals and Groatie Buckies - learn more about Caithness' lucky seashells on a previous blog post. If the seals are hiding out, there's usually a Groatie Buckie or two to be found, and they tend to be on the bigger side here too. Behind Ham Harbour is a beautiful loch with swans and the old Ham Mill. We brought a flask of soup, crackers and cheese here last Autumn with only the one spillage! Top Tip: Check the Met Office's tide times before you go, its more enjoyable if the tide's on its way out. Wee ramblers love this place, its great fun but do climb with caution, there's lots of flagstone debris from the old crumbling Harbour which can get very slippery! This enchanting harbour and burn walk will leave the kids in awe. Park at Latheronwheel Harbour and enjoy the stunning surroundings as you walk up the burn to visit an enchanting Fairy Glen amongst the trees. Top Tip: There's picnic tables and a built in BBQ down by the harbour so if you're visiting in Summer make sure to bring sausages and swimmers! Scotrail's train service from Wick to Thurso is 25 minutes long and gives instant adventure impact. Here's a more general scavenger hunt printout you can bring along for the journey. There's great play parks by Wick River and Thurso River both 10 minutes walk from the train stations so if you're lucky with the weather, bring a picnic along too. If the weather isn't great, grab a bus or taxi to The Pulteney Centre in Wick or Caithness Horizons Museum in Thurso for more child friendly fun and yummy lunch. Top Tip: Go old school and wow the kids with disposable cameras for recording their trip and scavenger hunt finds. A visit to the animals at the UK's most northerly petting farm always leaves you feeling all warm and fuzzy inside. Puffin Croft's honesty shop is packed with homemade goodies, homegrown veg and bagged carrot chunks to feed the farm's donkeys, goats, pigs and rabbits to name a few. Top Tip: If you've got time, squeeze a trip to the scrumptious Flavours ice cream shop nearby in John O'Groats, you won't regret it! Crawl through complete darkness into 5,000 year old stone built Neolithic tombs. With its beautiful surroundings and hands on history, this site is sure to blow your mind. If you've tried any of the adventures listed above or have more tips to share, please leave a comment below.